With Facebook’s recent acquisition of Instagram for $1 billion, media companies and marketers are starting to think about ways to capitalize on the partnership, as well as how Facebook may use the photo app in the future. AdAge.com explained why brands should get in and get inspired by this social media collaboration. The enormous momentum over the Instagram puchase has already boosted the app’s popularity and is expected to greatly increase usage, too. Joining Instagram would be a wise move for any business that already has a Facebook profile or one that creates photos of any kind. In fact, many profiles are currently receiving thousands of ‘likes’ each day for their photos. While ‘likes’ may appear to have little tangible value, the ability to reach a growing audience of Instagram users holds unlimited potential in terms of brand awareness, lead generation, customer loyalty, and revenue. Facebook has stated that Instagram will remain a separate entity, but there is no denying the power of integrating multiple social media platforms to promote and support a brand. The Facebook management tool, Vitrue, already offers Instagram management services and other integration tools are expected to debut very soon. 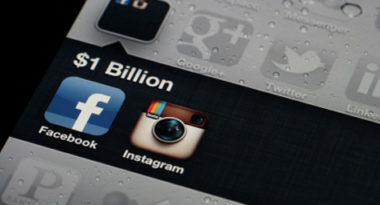 Many also predict that Facebook will initiate numerous ways to mix Instagram into its own platform. One expectation is that Facebook will streamline its Instagram tagging process, which would provide exciting new opportunities for brands while having a huge impact on Instagram’s growth. One revenue-driving possibility is that Facebook may bring apps to Instagram and start charging brands to create custom filters as one of their social media management suites. Some social media networks find it challenging to grow in new directions while keeping users from feeling inundated with unwanted noise. Facebook appears to have overcome that issue with its ranking algorithms that manage the steady stream of photos and updates shown to users. Hopefully, Facebook can develop similar integration calculations that prevent users from feeling overwhelmed while encouraging the benefits of joining the thriving community of Instagram enthusiasts. Finally, Facebook may need to take a closer look into the behavioral differences of Instagram users to determine why they use photos as a main means of communication. If Facebook can harness this insight and develop tools that supply it to media companies and marketers, there will be no limit how successful this partnership can be for everyone. To discover the latest ways to leverage Facebook and Instagram in your social media marketing strategy, contact MDG Advertising today at 561-338-7797, or visit mdgadvertising.com. Our core capabilities include branding, logo design, digital marketing, media planning and buying, TV and radio advertising, customer relationship management, video marketing strategies, inbound marketing programs, public relations, Web design and development, email marketing, social media marketing, local search and SEO. View MDG Advertising’s creative marketing portfolio. To learn more about MDG Advertising, visit mdgadvertising.com. Connect with MDG on Facebook, Twitter, Pinterest, Google+, LinkedIn, and YouTube.